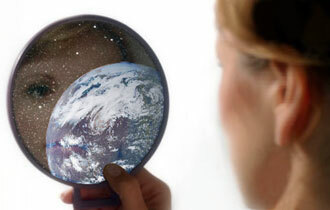 This whole world, as far as perception, is a mirror of our own consciousness. Nobody sees the same thing in the world in the same way. Whatever and whoever we come in contact with, we are going to see according to our own state of consciousness. Yes the world is just a mirror of our own attitudes. One person sees that- look at this rose bush- it’s full of thorns, grumbling about the thorns on the rose bush and another person rejoices look at the thorn bush has a rose…Haribol. So they are seeing the same thing, but are they seeing the same thing? No. If you have rose coloured glasses everything will look rose colour, if you have Yellow coloured glasses everything will look yellow, if you have green coloured glasses, everything looks green, If you have clear coloured glasses you see everything as it is. So yes- according to our state of consciousness we have certain attitudes, and we will perceive reality according to our acquired attitudes. 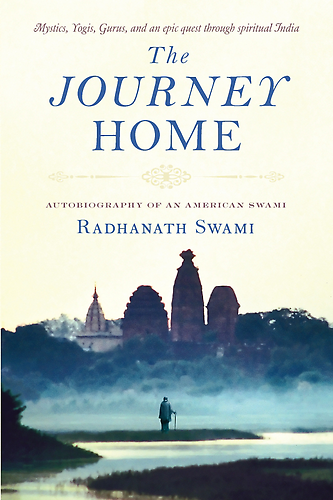 And how we choose, what attitude we choose, to adopt in situations, is what is going to determine our future consciousness and our whole perception of the world – Radhanath Swami. According to our state of consciousness, we perceive the world, we tend to have a certain attitude towards the world. But we always have the free choice of opting for an alternative way of looking things. Human life is about making this right choice of positive attitude. 2 Responses to "The world is a mirror of our consciousness"
Wonderful way of looking at things! Very informative. Nice one. 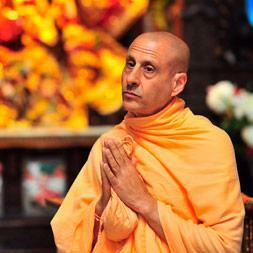 Thank you very much Radhanath Swami Maharaj!